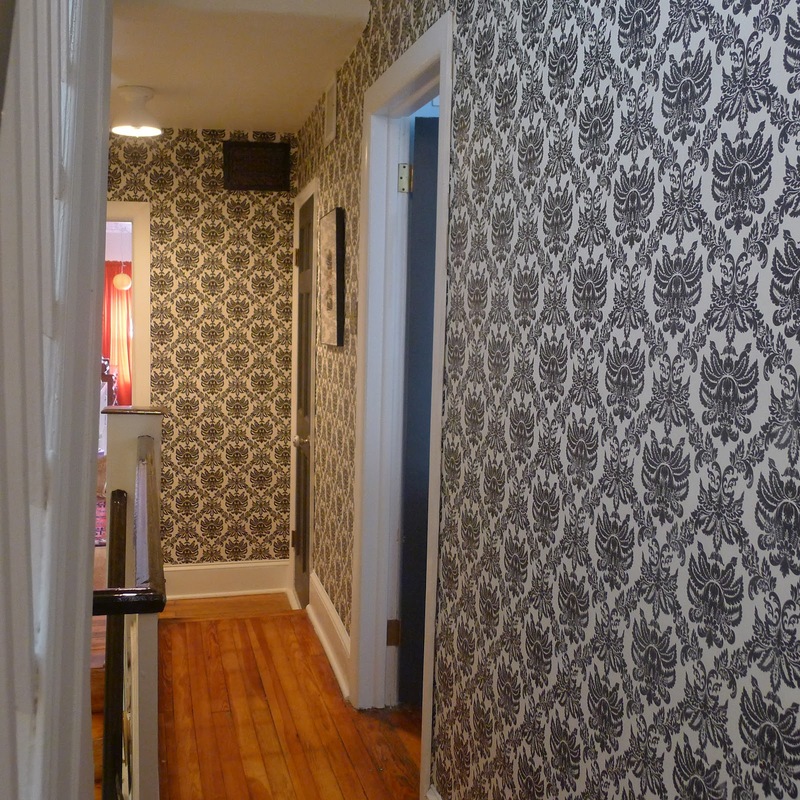 The wallpaper in the hallway is finally up! I blogged about the hallway here and here. 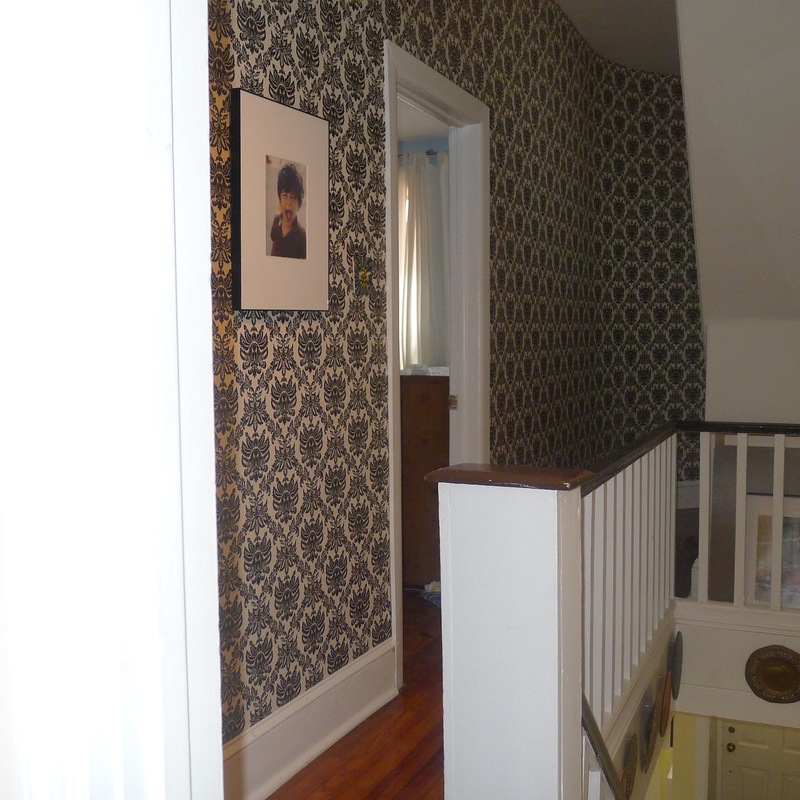 I bought the damask black and white wallpaper before we even signed the settlement papers. 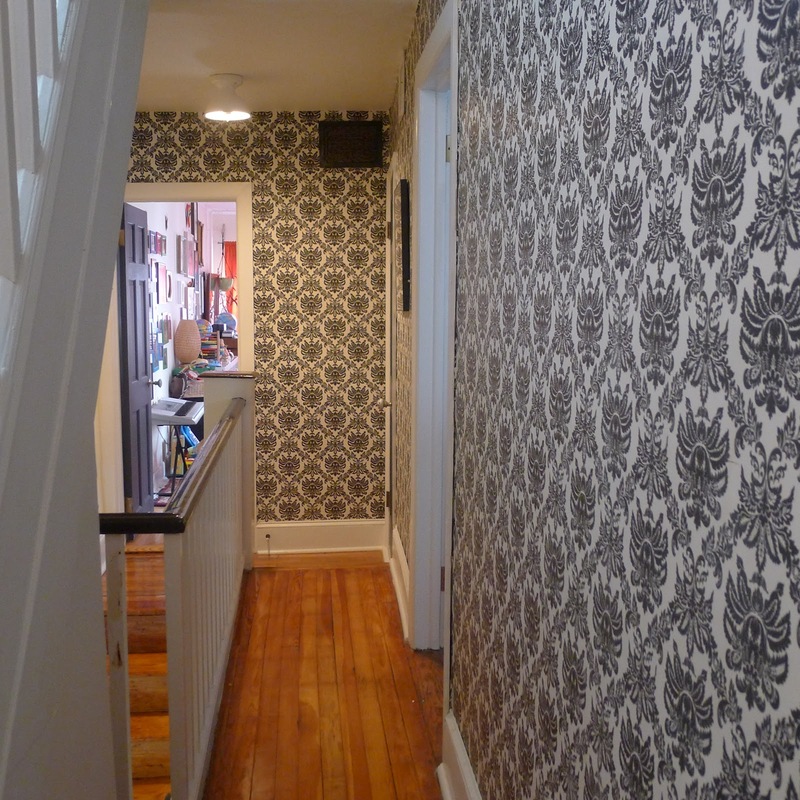 I love the way the wallpaper completely transforms this very narrow corridor of space. The smaller damask print and the vertical pattern emphasizes the high ceilings and somehow makes the hallway seems less narrow. Scott spend endless hours stripping the wallpaper and repairing the plaster. We decided to hire someone to install the wallpaper (which only cost $325 for installation). The guy who installed the wallpaper did an excellent job however he hung it upside down! Maybe it was because I was pregnant, or maybe it was because I had too much going on at work but I wasn’t upset about it. I absolutely LOVE the way the curved wall looks clad in the wallpaper. The light (below) is from Schoolhouse Electric. 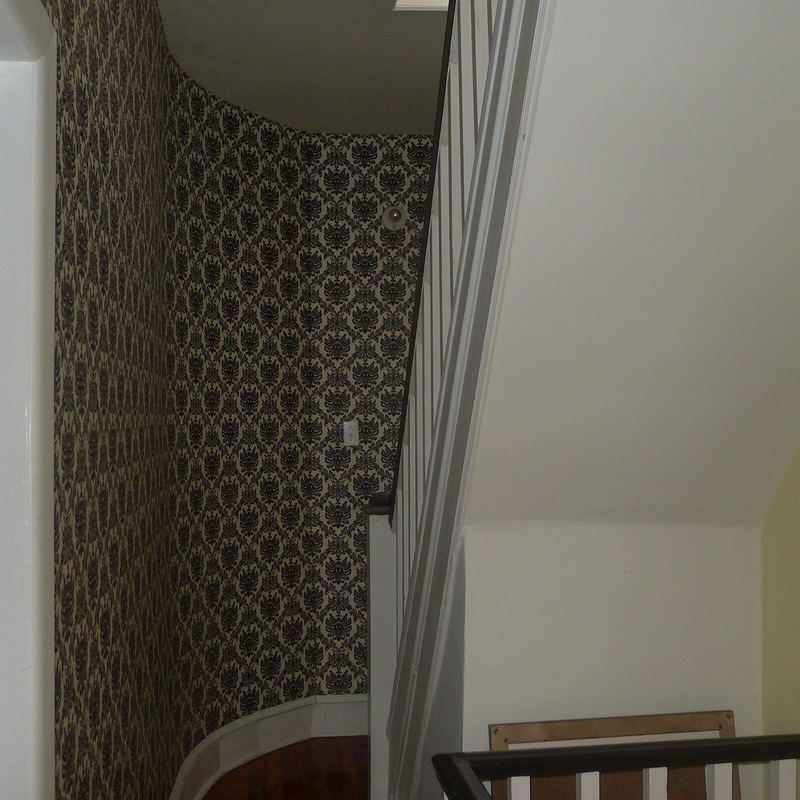 Here’s a picture of what the hallway looked like before we removed the multiple layers of old wallpaper, repaired the horsehair plaster, and primed the walls.